An Ohio State University engineering professor has become the first woman from the university to be named to the National Academy of Engineering. Dorota Grejner-Brzezinska, associate dean for research in Ohio State’s College of Engineering, was one of 86 new members to receive the honor this year. Grejner-Brzezinska is also a professor in the Department of Civil, Environmental and Geodetic Engineering. Grejner-Brzezinska’s early research helped build more reliable GPS navigation, adding to the body of work that would eventually allow for navigation systems to be built into today’s smartphones. In recent years, she and her research teams have built navigation systems that rely on artificial intelligence and image-based navigation rather than satellite systems alone, allowing for autonomous vehicle navigation and navigation and positioning in confined environments, where GPS signals are not available. Grejner-Brzezinska came to Ohio State more than 20 years ago as a Fulbright Scholar from Poland intent on studying geodetic science, which, among other things, focuses on the size and shape of the Earth and the estimation of spatial coordinates—two keys to creating reliable global positioning systems. She went on to earn a Ph.D. and become a faculty member at the College of Engineering. 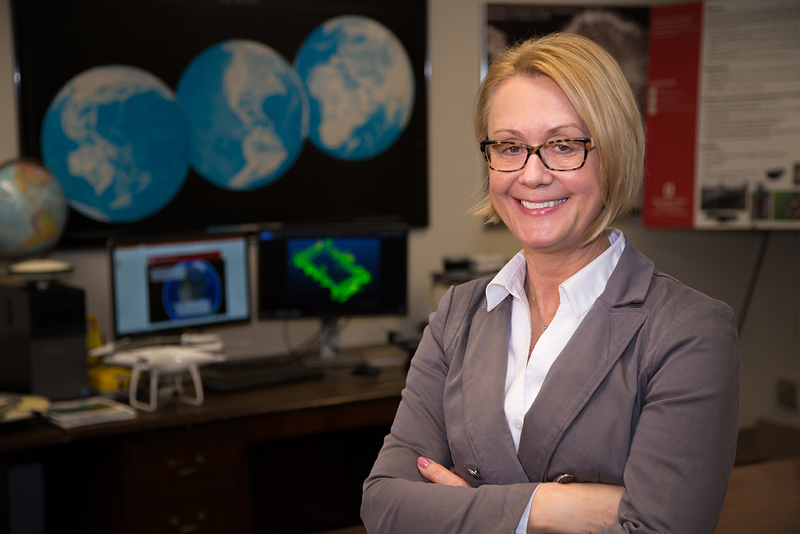 She served as chair of the Department of Civil, Environmental and Geodetic Engineering for four years prior to becoming the associate dean for research in 2017. She also served as President of the Institute of Navigation (ION). She is an ION Fellow and a Fellow of the Royal Institute of Navigation. She said she hopes her award inspires young female engineers. “I have been there—not thinking that I can make it,” she said. “But what I can tell you is that some of my best students have always been women. And it means a lot to me to show the younger women that we can do it. Grejner-Brzezinska and her class will be formally inducted at a ceremony during the academy’s annual meeting in Washington, D.C., on Oct. 6.